According to studies, true onion allergies are rarely seen. 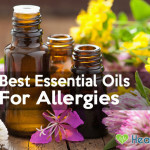 Around 3% of adults have been reported with this allergy. In contrast, more cases of onion intolerance are seen. The basic difference between an onion allergy and an onion intolerance is that those who are intolerant to onions can eat the vegetable in minute quantities. In contrast, those allergic would not be able to withstand even its smell. We are now going to provide you with the symptoms that one would experience if they are suffering from an onion allergy. This would enable you to identify your case with ease. There are two forms of allergic reactions to an onion, which include internal and external. The external reactions occur when a direct contact with onion is made or owing to its smell. In contrast, an internal reaction stems from consuming onion as part of the diet. 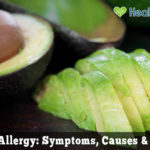 Before proceeding ahead and providing you with an insight into the symptoms that manifest due to an onion allergy, we feel it prudent to mention that allergic responses vary as per individuals. Some experience instant reactions, while for others, the symptoms might appear as late as 24 hours after the exposure. The severity of the allergic reaction varies as well. Some people start to feel better once the triggering factor is removed. Rarely, the reaction might last for days, despite the onion being removed from the system. The whole spectrum would not be seen in every individual. 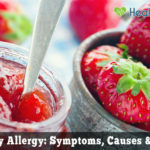 You will often see a combination of these symptoms in those suffering from an onion allergy. Now that we have shed some light on the symptoms and causes of an onion allergy, let us move on to discussing how to manage it. We will discuss the prevention and the course of action that you ought to take for the treatment of the allergy. The first important step when it comes to managing an onion allergy is the diagnosis. If you have a suspicion that you are allergic to onions, you ought to get yourself tested. This would enable you to decide on your next course of action with ease. The diagnosis can be made via a skin prick test, elimination diet, and blood test. If you are diagnosed with an onion allergy, there are certain steps that you can take to ensure you do not face any allergic reaction. The preventative measures can save you from a lot of trouble. 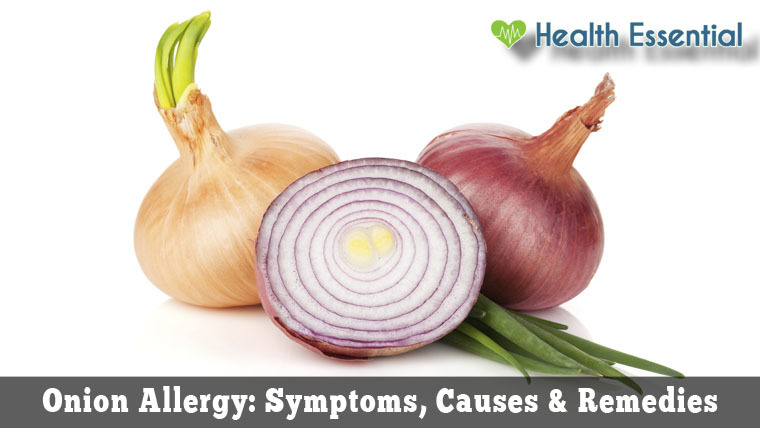 The first thing that you should do once you are allergy is to refrain from eating onions. 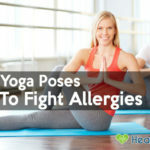 Avoiding the triggering factor is the best way to deal with all forms of allergies, and this case is no different. You should stay away from all forms of onion so as to make sure you do not find yourself at the receiving end of any allergic reaction. 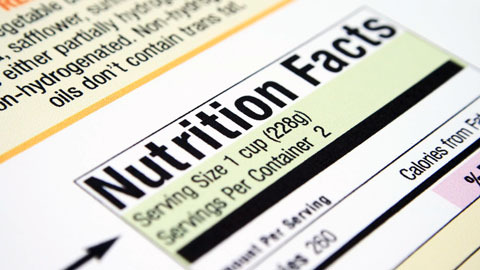 Make sure you read food labels before purchase. You will need to be rather vigilant with your diet. Terms like natural flavoring and seasoning are an indication of the usage of onions in the product, so you will need to stay away from these products. When you eat out, ensure that you convey to the server that there should be no form of onion in your food. Be very strict regarding this. It is not just onions that you ought to stay away from. Avoid all the food items that belong to the onion family. Antihistamines are rather effective in reducing allergic reactions. They can easily be purchased over the counter, so getting your hands on them would not prove to be a difficult task for you. Almonds neutralize the acids in the stomach. Thus, reflux is reduced, which serves to lessen the heartburn symptoms that can be caused by an onion allergy. You can also make use of aloe vera to acquire relief from the symptoms of swelling, burning, and itching. It will provide you with a soothing effect. If you experiencing bloating, you can use bananas that would aid in the process of digestion. In case you develop a strong reaction to onions, you can make use of EpiPens. For those suffering from respiratory difficulties, an albuterol inhaler would prove to be effective as it would alleviate the symptoms. Topical creams can be used to deal with hives, rashes, and flakes. Nux vomica is a natural option that you can use to acquire relief from the digestive abnormalities that incur owing to the onion allergy. A reaction usually occurs when you eat onions or come in direct contact with one. Therefore, the ultimate treatment is to avoid onions altogether. When you develop an allergic reaction and experience breathing difficulties which cannot be relieved by medications, do not wait to rush to the hospital. Allergies can lead to anaphylactic shocks, which can be fatal. Therefore, do not take any chances and make sure that prompt intervention is sought. Negligence can prove to be costly.